7:00am: Mommy, can we do a craft? Me: No. I need to drink my coffee! 8:00am: Mommy, can we do a craft? Me: No, we need to eat breakfast. 9:00am: Mommy, can we do a craft? Me: …… I’ve run out of excuses. I guess I’ll see what I can come up with. So keep that in mind as you read through this all-over-the-place post. The girls ask me to do crafts ALL. DAY. LONG. 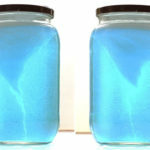 I had read instructions for making fireworks in a jar here, and I thought it sounded pretty easy, so I thought, why not? Let’s give it a try! They definitely ended up being really cool, but it took us a couple of tries to get them right. Maybe it’s because it was still early in the morning and the kids were pulling at my leg to do something fun? (Seriously, how am I supposed to enjoy my coffee!?) Or maybe it’s because I read the instructions when I was still half asleep? I’m not really sure why, but the first go at it, it just didn’t work. So if by fireworks in a jar, it was supposed to look like a vase filled with gloomy dark storm clouds, then yes, we got it bang on! Everyone loves a vase filled with opaque black liquid, right? Yeah, not so much! So we had to try it a different way to get it to work. Add about 3 Tablespoons of oil to a small bowl. 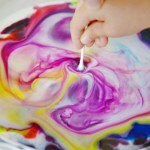 Add lots of food colouring to the bowl. Mix it together with a small toothpick. Pour it into the vase of water. 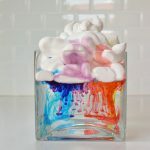 Watch as all the mixed food colouring falls as a single colour and creates a dark cloud in the water. The food colouring looked really cool in the oil! 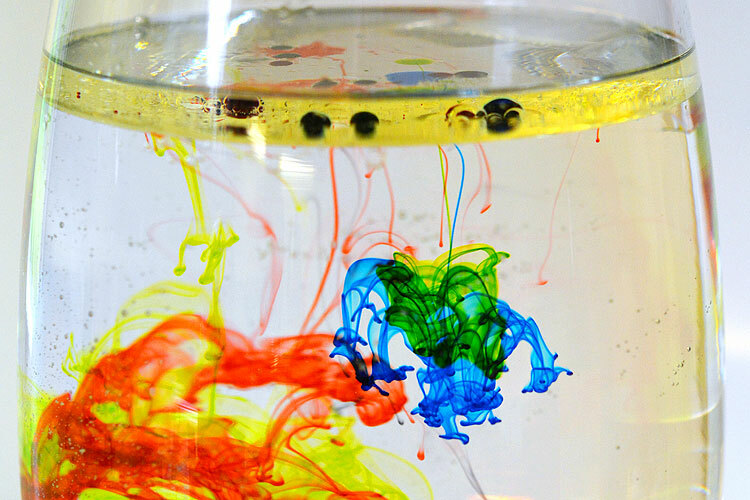 Food colouring will dissolve in water, but it does NOT dissolve in oil. So when you added it to the oil, the drops stayed perfectly round. Here’s where we went wrong, and it’s probably my fault because I really didn’t think it through. The instructions on the site we followed said to “gently mix the food colouring and oil”. I gave my kids a toothpick and let them mix up all the food colouring. 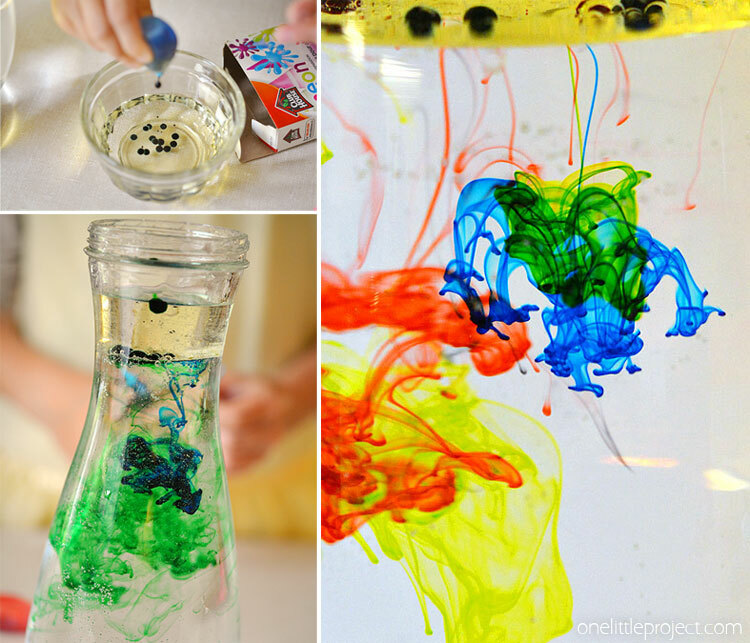 Food colouring may not dissolve in oil, but it sure dissolves in other food colouring! So really, I made a small bowl full of fully mixed blue, green, red and yellow food colouring, and ended up with dark, dark, almost black, green. DOH! 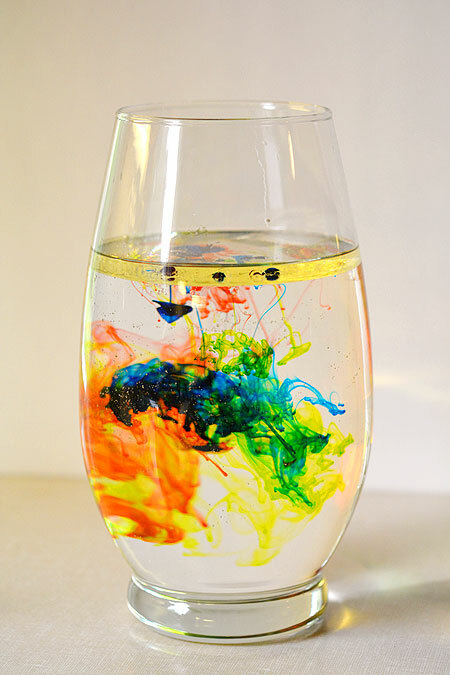 So not surprisingly, when we poured it into the vase, our mixture of gloomy darkness sunk right to the bottom making the water turn – wait for it – dark and gloomy green. That wasn’t going to work. 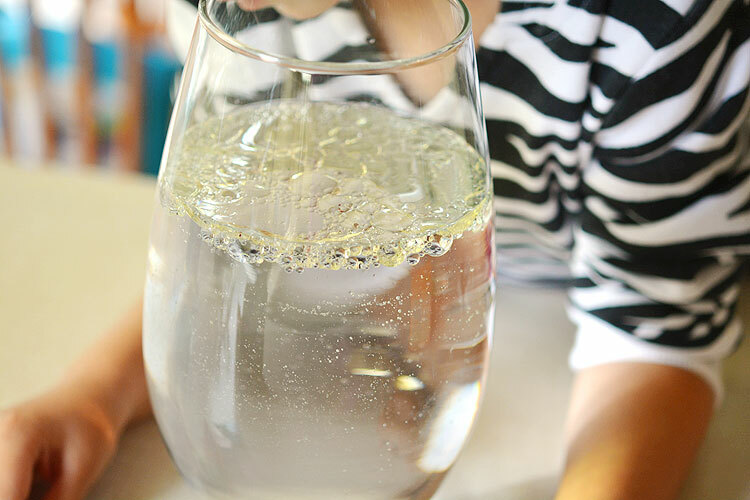 Pour about 3 to 5 tablespoons of oil in a vase filled with water. 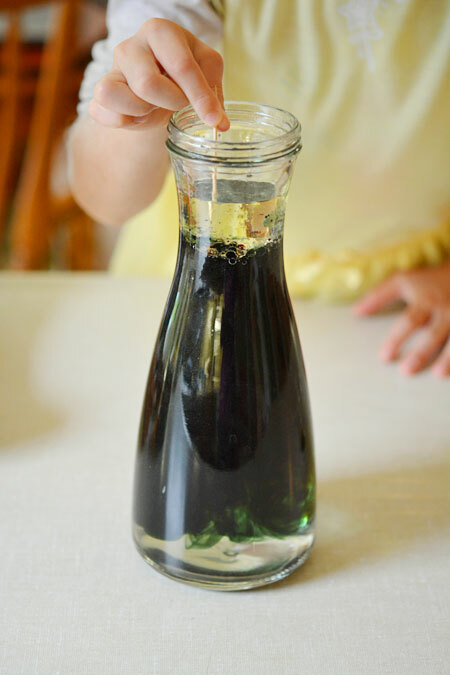 Add drops of food colouring to the oil. Watch as they sink through the oil and make colourful streaks within the water. Just be prepared – it only lasts about 30 seconds. After learning the lessons of Experiment #1, we decided to try the approach of adding the oil directly to the vase. 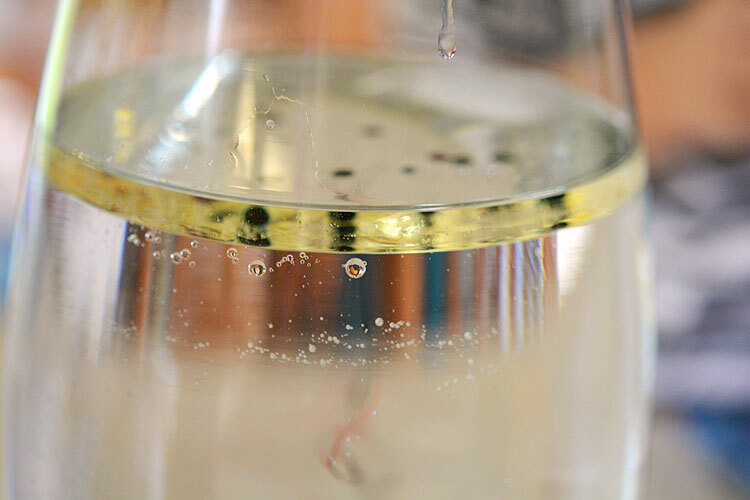 The oil briefly mixes with the water while you’re pouring it and it makes really cool bubbles before it all merges together again. Can oil merge with itself? I can’t think of a better word for it, so I’m going to go with yes. This time, we added the food colouring right on top of the oil layer. See those dark globs in the photo below in the oil layer? That’s the food colouring before it drops through the oil. Food colouring is heavier than oil. 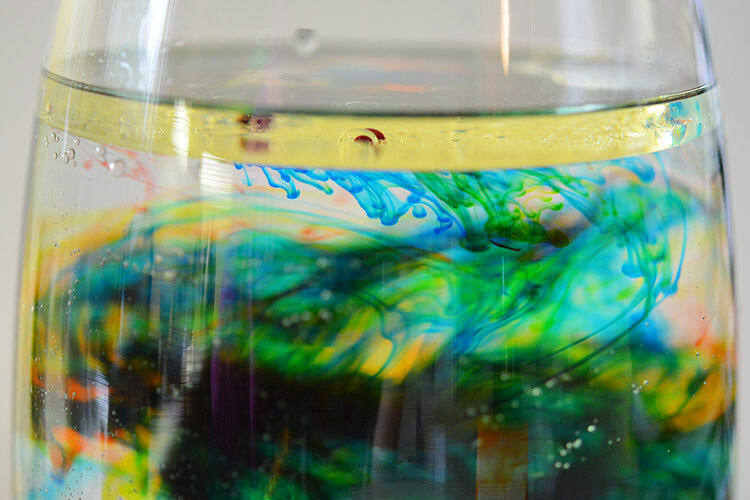 It takes a few seconds, but the food colouring starts to sink through the oil layer. Once it falls below it, you get beautiful patterns of colour. But I have to warn you, this goes by really fast! I was hoping it would last a little longer, but once the colours drop through the oil, it only takes about 30 seconds before all of the colours start to mix together. It doesn’t turn into the dark and gloomy mess, but the bright streaks and lines of colour fade and you start to get large, irregular globs of colour as the dyes start to dissolve in the water. Still pretty cool, if you ask me. The more food colouring you add, the quicker the dye dissolves, so I’d recommend only doing a few drops at a time to try to stretch it out. Since Experiment #2 went by so quickly, I wanted to try it again to see if we could slow it down. 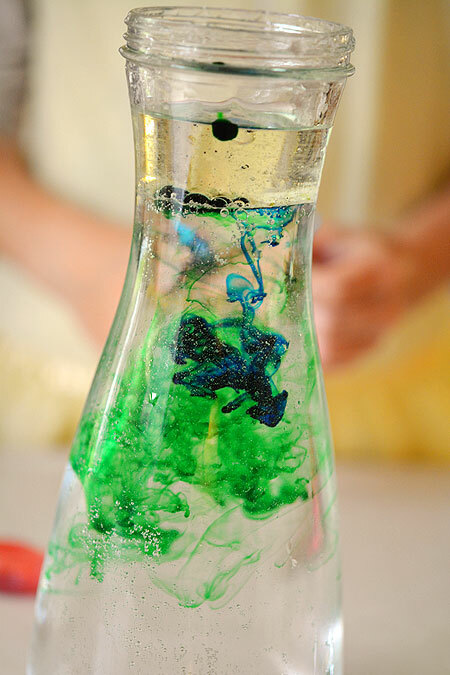 Mix together one part food colouring and two parts water in a small container, only one colour in each dish. 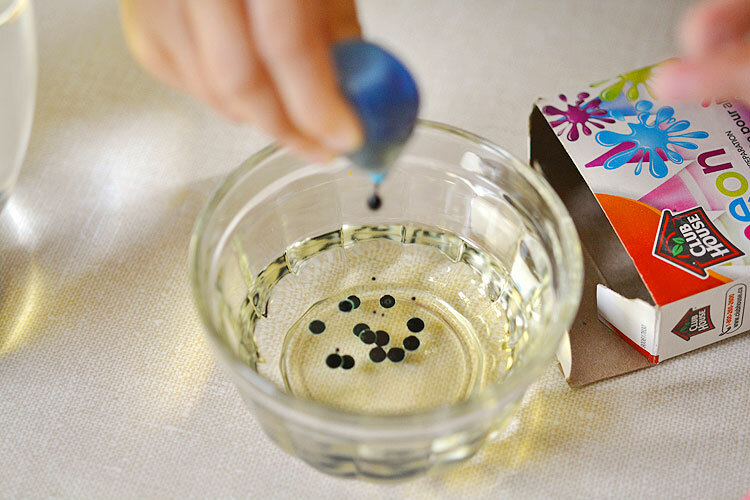 Add 3 to 5 tablespoons of oil to the vase filled with water. 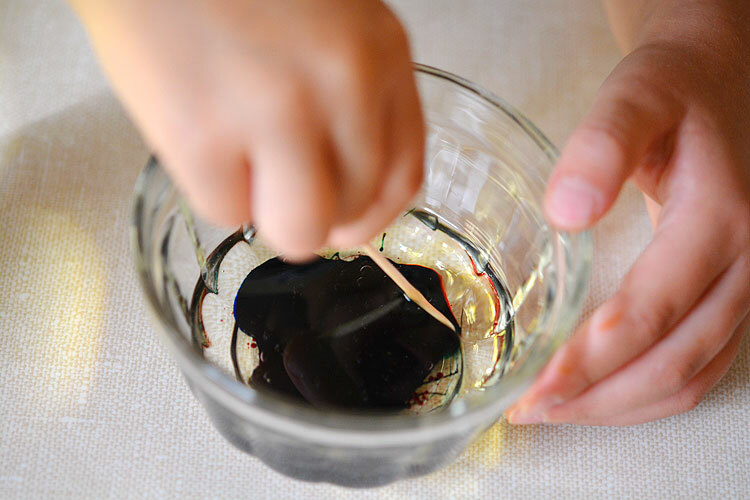 Use an eye dropper (or a small spoon) to drop the different colours of water and food colouring into the oil. If your colours have trouble falling through the oil, add some dish soap and watch as the oil separates and releases the colour droplets. 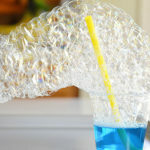 This was very similar to what we did when we made the shaving cream rain clouds. 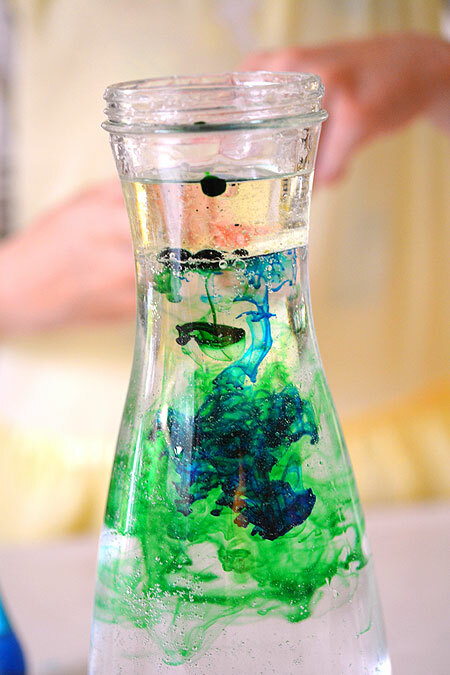 Food colouring is heavier than both oil and water, so when you mix it with water, it makes it lighter. This means it takes longer for it to fall through the oil, and longer for it to fall through the water. So at least your experiment will last a little longer. We had trouble getting some of the water and food colouring globs to fall through the oil, so we added a few drops of dish soap, and it instantly made them fall through. Definitely a neat thing to try when you’re finished. These fireworks in a vase were a really easy little experiment to try! It goes by quickly, so I recommend trying all three experiments to show your kids what works, and what doesn’t work. And at least that way you’ll be able to stretch it out so it lasts longer than 5 minutes. 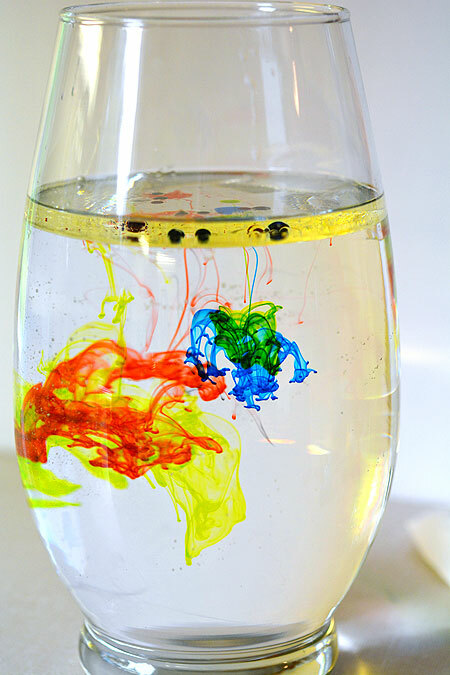 If you follow experiment #2 and #3 you’ll get brightly coloured streaks of colour going through the water. Great project! I love that you told us what didn’t work! I always mess up our experiments in some little way. So, that helps. Thanks for sharing at the Shine Blog Hop!